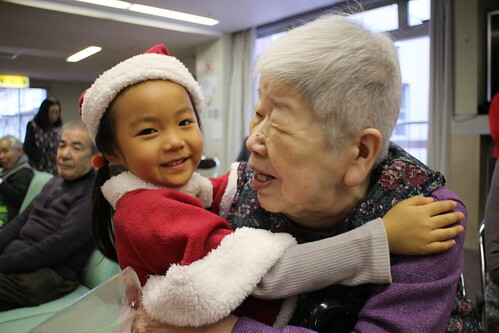 A tradition at Beanstalk is to visit the elderly residents at Kotobuki-Sou. 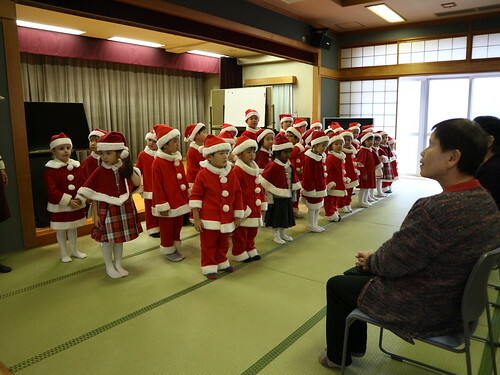 The children put on a performance of songs and dances. 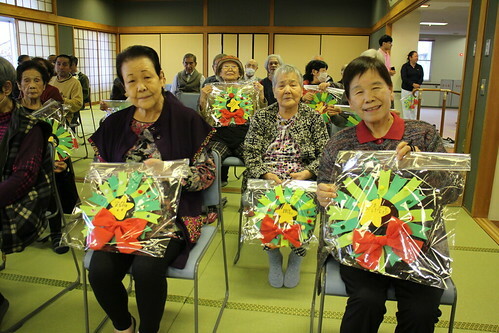 In preparation for the visit to Kotobuki-Sou they began making a present for each of the residents. 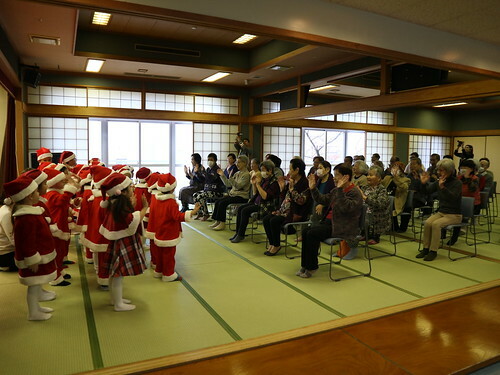 We were really excited to see the residents at Kotobuki-Sou. 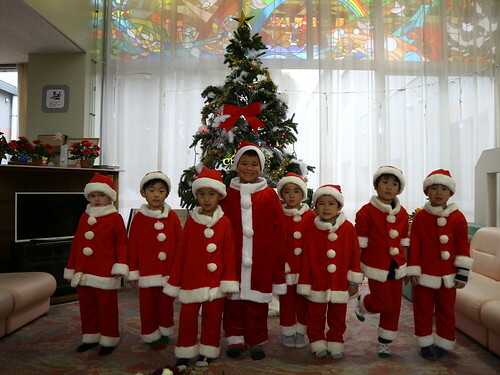 They all got changed into their Santa costumes and got ready for a few photos . Outside Beanstalk they were all set for some group photos. 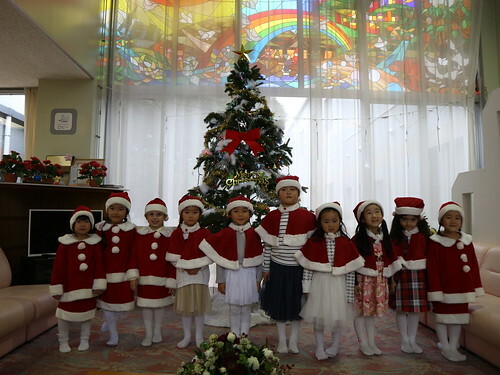 They all look great with the Christmas decorations outside of the school. 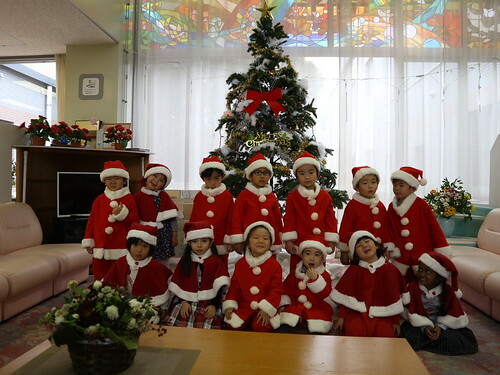 When we arrived at Kotobuki-Sou we were really happy to see all the Christmas decorations. 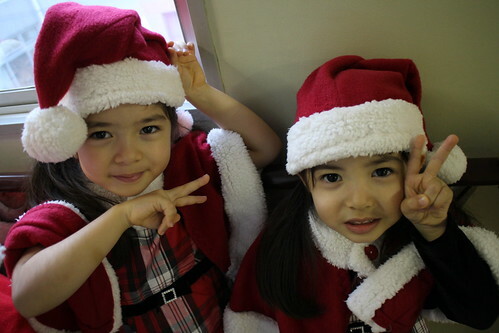 They have a really big Christmas Tree! 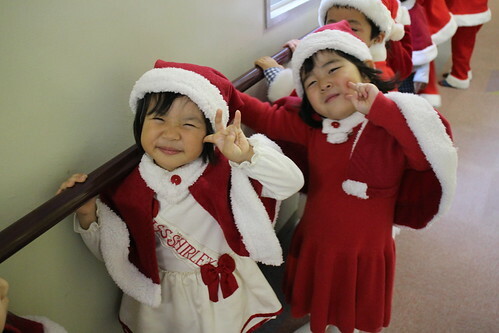 And we had to get some more photos of the children next to it. 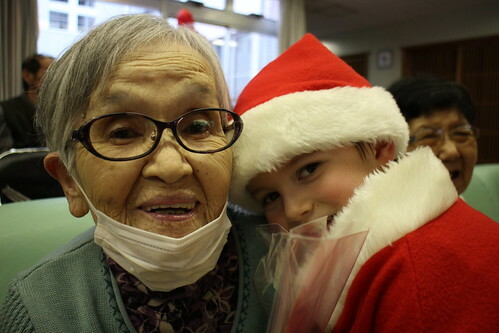 We were welcomed with warm smiles and we were happy to see them. 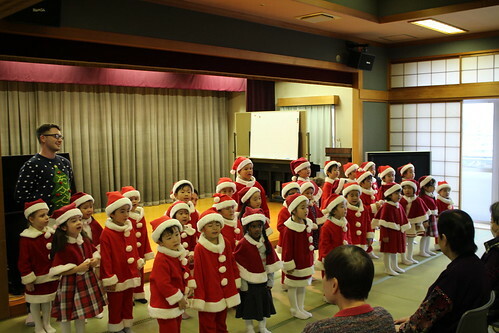 This year we sang 4 Japanese songs and 1 English song. 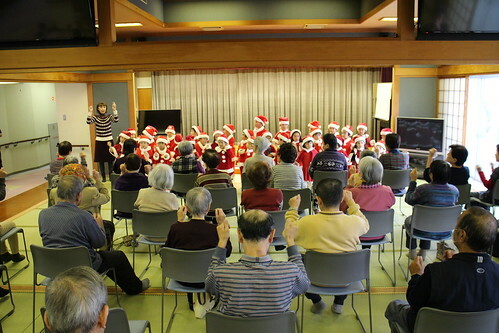 We practiced dancing `actions with the residents, getting them to follow along with us. We enjoyed the singing and dancing. For the English song we practiced how to pronounce naturally with our British teacher. Everybody tried many times and we finally got it. 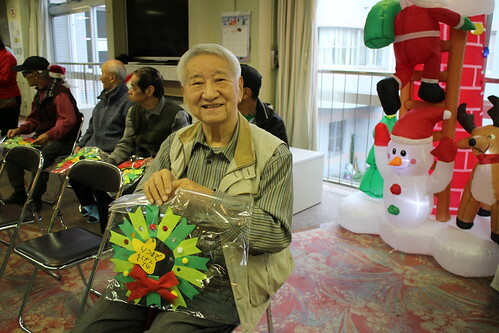 We handed out the presents to the residents at the end of the day. 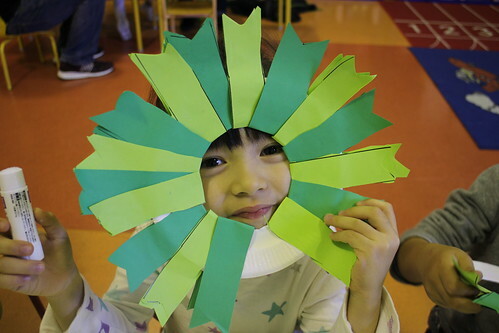 Everybody had a great time and the children really enjoyed performing. This is the last winter of the Heisei era. 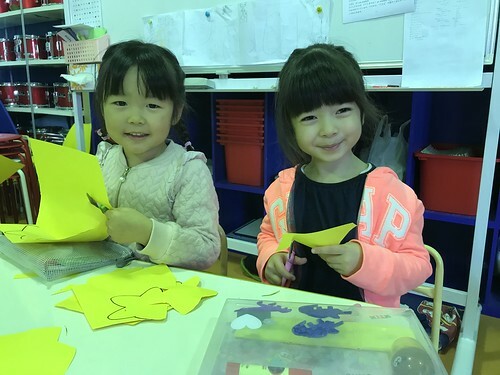 We wish the residents of Kotobuki-Sou a healthy and happy future for the new era.